First look at Leaf AFi medium format digital camera from Franke & Heidecke with lens by Schneider-Kreuznach | Digital Photography. Leaf AFi and Sinar Hy6. 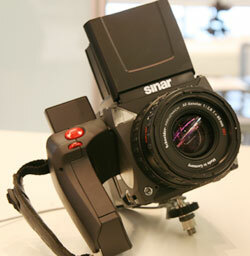 Sinar Hy6 medium format digital camera. 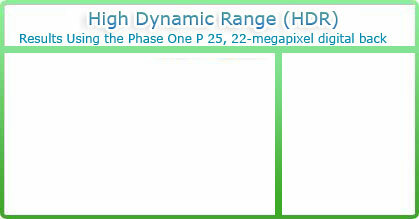 At Photokina 2006 it was possible to see the various versions of the Leaf AFi and Sinar Hy6. Then at PMA ’07 I saw them again. I believe they were first shown, or at least talked about, even before Photokina 2006. During a recent visit to Israel it was possible to handle a Leaf AFi at the international headquarters of Leaf, in the former CreoScitex building (now all part of Kodak). 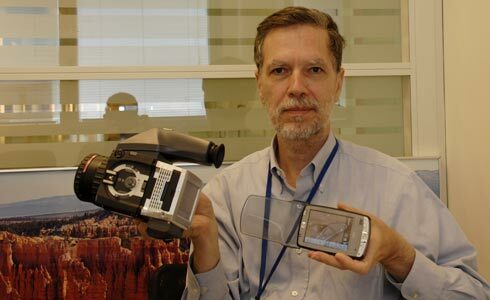 These are the same camera body with different labels (as is the style nowadays with many products). 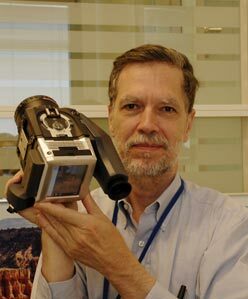 They are made by Franke & Heidecke, the firm that continues the tradition of Rollei and Rolleiflex (the name Rollei was sold to a Japanese company several years ago). Franke & Heidecke are the grandsons of the original Rollei founders (if I understand the history correctly). The main advantage of a completely new camera is that it’s a completely new camera. It has all the advantages of building on every other medium format camera out there, plus it can take what’s there to a new level. The Hasselblad H series cameras got stuck in a rut; a nice basic model was developed by Fuji for Hasselblad, but there were a few issues and glitches. One person that we spoke with said theirs had to be returned for repairs fairly soon. We discretely asked around and were told that yes, there were issues with the body. Seemingly it was not made for use day in, day out (my old Hasselblad V-series have all lasted over 25 years until Air Portugal destroyed one in their luggage compartment). Since there has not been any new Hasselblad body now for years, the only way to get significant improvements is to start from ground zero and create an entire new body. 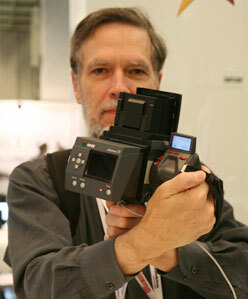 This is what Franke & Heidecke did: they have decades of experience from Rollei 6008 and Rolleiflex before that. Plus they had funding from Jenoptik and Sinar. Naturally it will be necessary to test and compare them head to head, but the specs of the Leaf AFi with Schneider-Kreuznach auto-focus lenses sure look impressive. Nicholas Hellmuth at his recently LEAF factory visit in Israel. Naturally thousands of Hasselblad owners complain that they prefer Zeiss lenses rather than Fuji lenses (I doubt our eyes can really tell the difference, but psychologically we tend to prefer the revered Zeiss technology). So the new Leaf AFi has the advantage over the Hasselblad-Fuji in that Schneider-Kreuznach is making a range of auto-focus digital lenses available for the Leaf AFi. 75s, Leaf Aptus 65s and Leaf Aptus 54s.